The curious case of Qassem Soleimani perfectly explains the secrecy and folly of President Obama’s Iran deal, as well as his rush to bypass Congress and instead entrust a vital national-security issue to the United Nations. 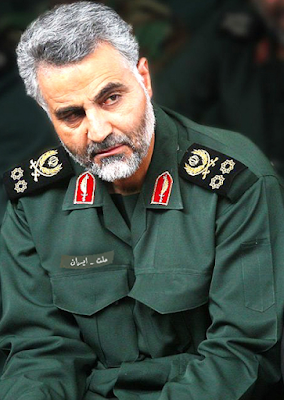 Gen. Soleimani is the commander of the Quds division of Iran’s Revolutionary Guard Corps. He’s charged with exporting the Islamic Republic’s revolution to the rest of the Mideast and beyond. He has American blood on his hands. He is, then, America’s enemy. Or is he? Gen. Joseph Dunford, Obama’s candidate to become the next chairman of the Joint Chiefs of Staff, told Congress last week that Soleimani is directly responsible for killing at least 500 US troops in Iraq. He’s also responsible for many deaths of others in Syria, Lebanon and Yemen. That’s the nature of his business. So America has made sure, since 2007, to name him on all lists of Iranians targeted for international sanctions. No longer. According to the deal reached in Vienna Tuesday, Soleimani will be de-listed.